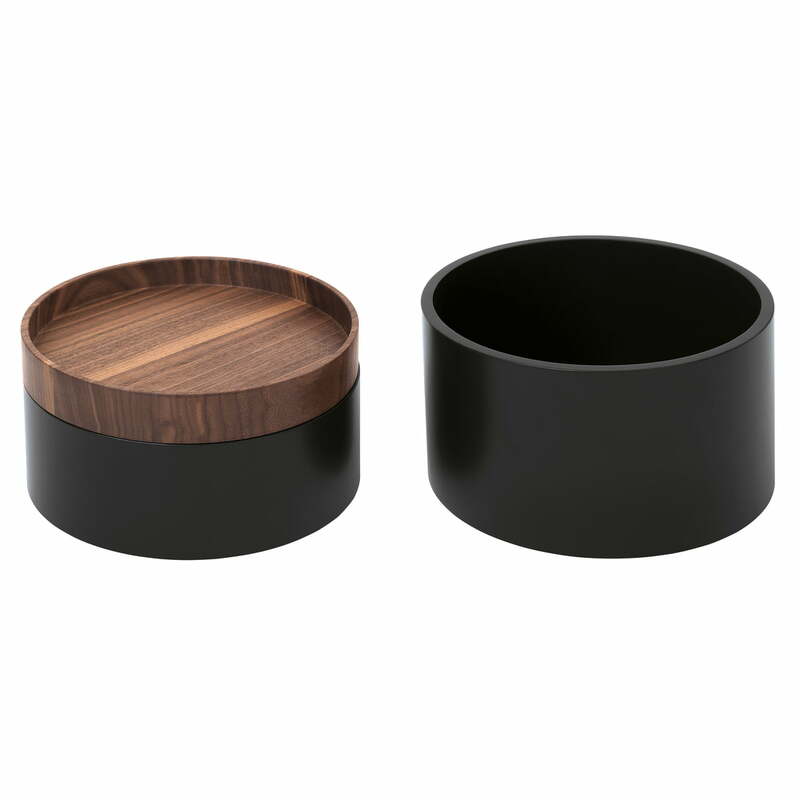 The wooden boxes Capsule, manufactured by Schönbuch, are supplied in a set of 2. The boxes made of wood are best described as "small but beautiful": Two small, easily to handle boxes, with an elegant and high-quality design. Cosmetics, jewellery, keys, and other little treasures can be beautifully stored in these versatile boxes. 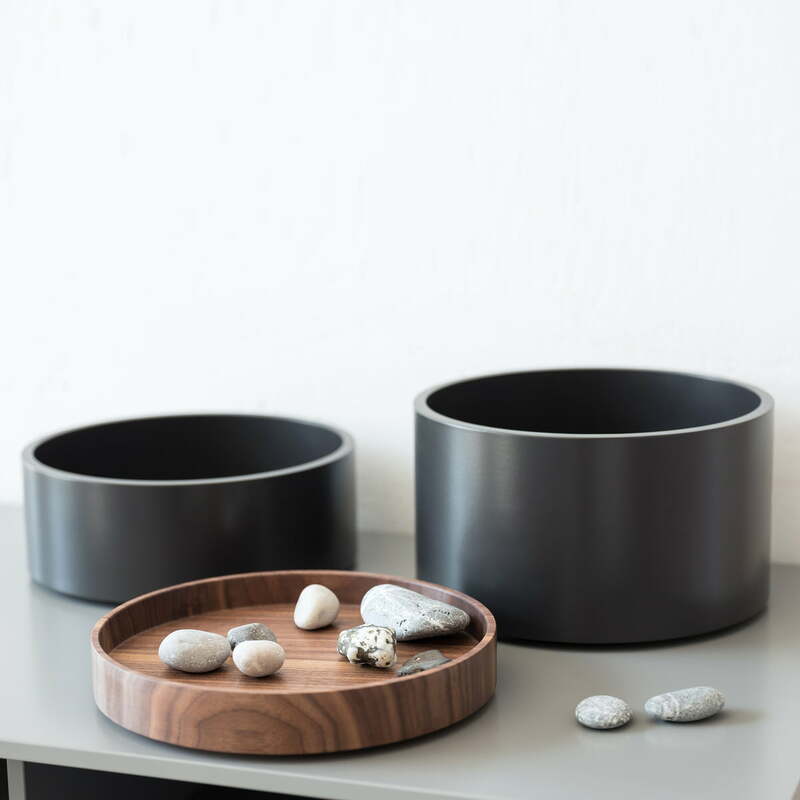 The two boxes can be stacked or placed next to each other, on the table, in the drawer, on the dresser, on the shelf or in a cabinet. 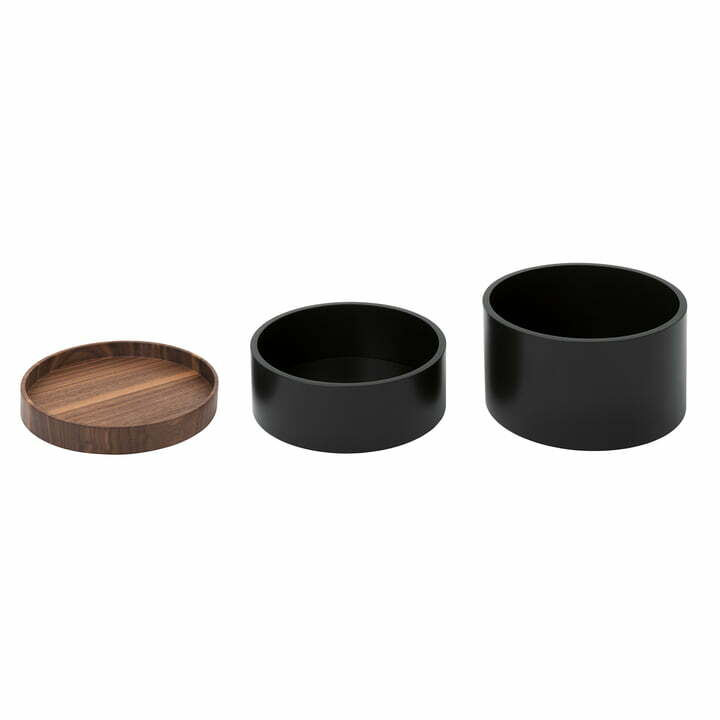 The storage containers are lacquered black, whilst the lid is out of walnut. 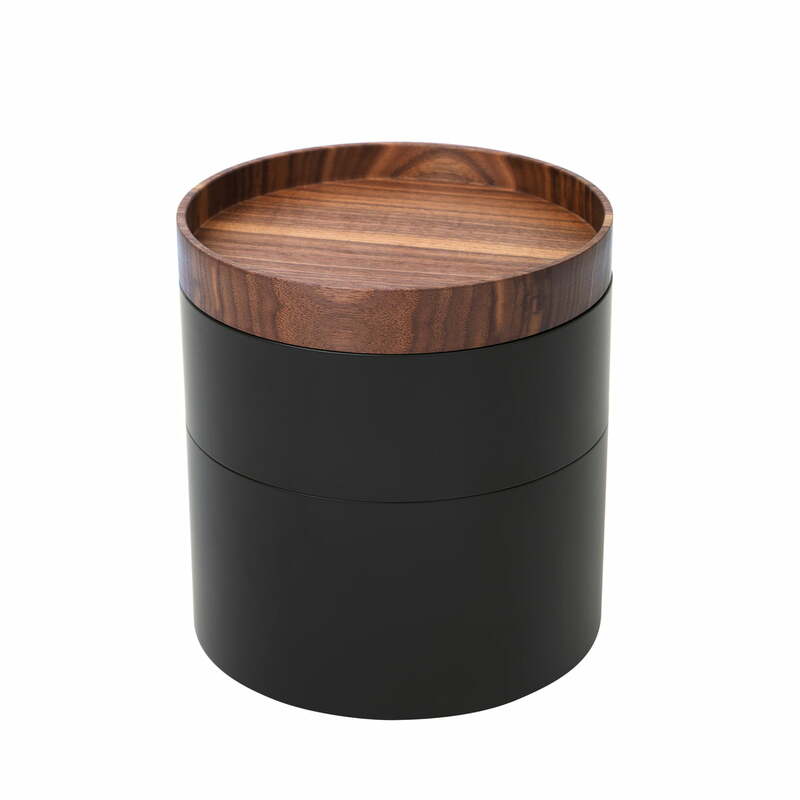 Capsule Wood Box by Schönbuch: The two boxes can be stacked or placed next to each other, on the table, in the drawer, on the dresser, on the shelf or in a cabinet. Two small, easily-carried boxes, with an elegant and high-quality design. Cosmetics, jewellery, keys, and other little treasures can be beautifully stored in these versatile boxes.